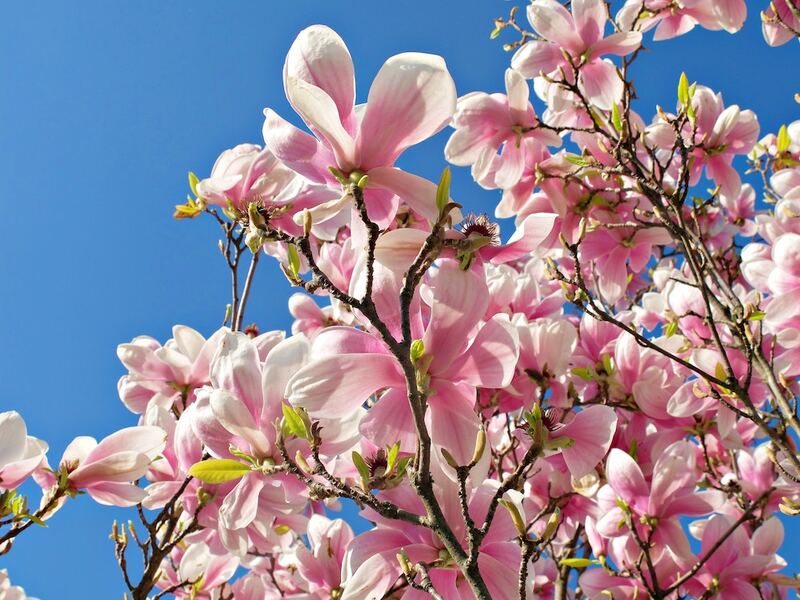 Spring has most definitely sprung in White Rock and if the temperatures we’ve been enjoying of late are any indication, it’s time to shake off those winter cobwebs and go outside and explore. Despite the damaged pier, White Rock has lots to discover! We’ve shared our top 5 reasons to visit White Rock this spring. Kids of all ages love beachcombing. 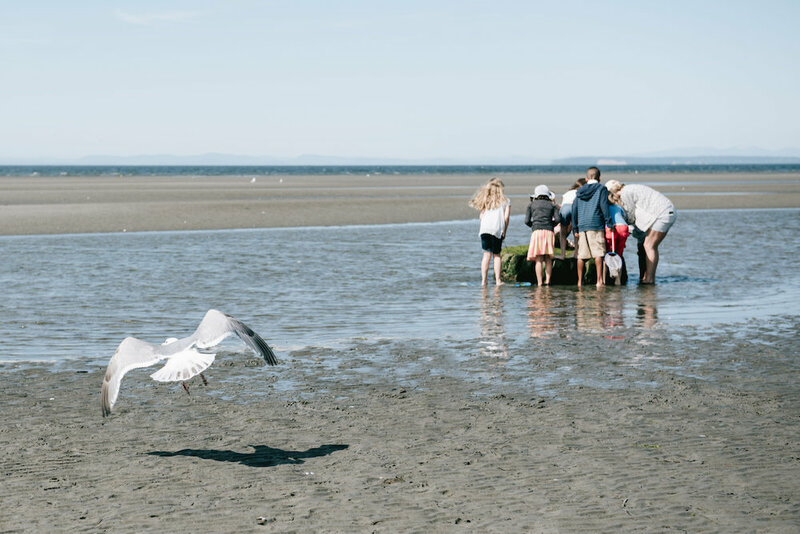 Check out “Low Tide: What You’ll Find” for more information about the treasure you can find on the beach … from crabs and clams to a variety of colourful seashells. And keep your eyes peeled for colourful pieces of beach glass! 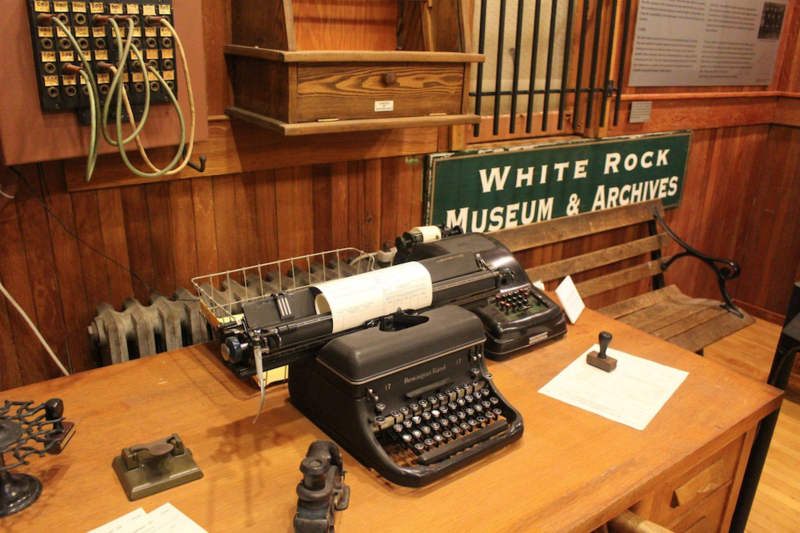 Take a trip down memory lane inside this fascinating little museum and learn about White Rock’s history and railway roots. The museum is located in the historic White Rock train station next to the White Rock Pier, and the exhibits cater to the whole family. Celebrate spring at their current exhibition “A Merrie May” and learn about how White Rock used to celebrate the coming of Spring and how many communities still celebrate this time of year. Admission is by donation, making it a great place to drop in and play in their interactive space. Spring means the beginning of patio season, lazy brunches and cocktails by the sea! And White Rock is your best bet when you’re looking to do a little dining with a view. There are countless spots to grab a great meal in White Rock, but we thought we’d share a few of our favourite patios to check out this spring … and summer. The patio at Uli’s Restaurant provides diners with spectacular views of Semiahmoo Bay and the historic White Rock pier. Settle in with a pitcher of sangria and a pot of steamed mussels and clams. 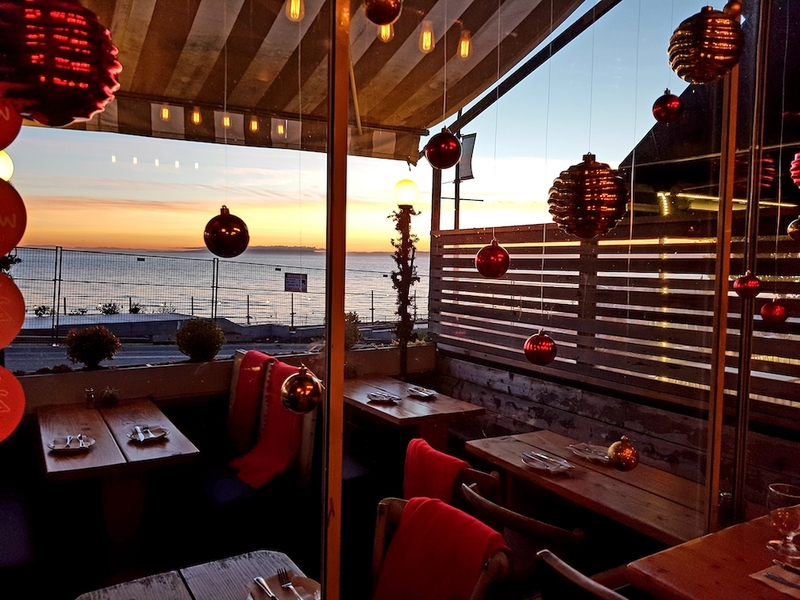 Charlie Don’t Surf‘s patio is centrally located on the White Rock strip, across from the pier, and is a perfect vantage point for watching the world go by while sharing a pizza and a bottle of wine. There’s something about a roof-top patio that makes it feel like all your worries have been left at street level, and the sun-drenched roof top patio at the White Rock Boathouse Restaurant doesn’t disappoint. Perched high above Marine Drive we love it for enjoying an ice cold beer and a platter of crispy calamari. If it’s an urban patio experience you’re after, then Barrique Kitchen & Bar is the place to go. Their patio is a delightful extension of the elegant, warm atmosphere in side the restaurant, and you can’t go wrong with any of the choices on the menu. 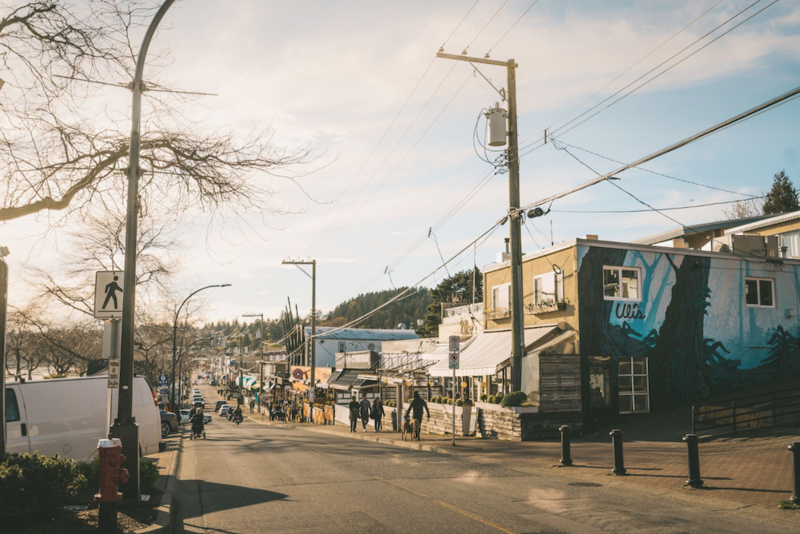 A little retail therapy can be the perfect pick-me up, and White Rock has an eclectic mix of locally-owned shops to suit any shopper. Spend some time browsing the beautifully curated collections of décor, jewellery, artwork and more at The Mason Jar Home Decor & Gift Shop or The Handpicked Home. Nurture your emotional well being with aromatherapy at Saje Wellness or through the metaphysical at Bella’s Miracle Shop or Whitby Books. And be sure to spend some time perusing the goods at one of our many thrift shops. And don’t forget to pop in to the charming gift shop at the White Rock Museum.